WV looks back at 2012 and celebrates some of our favorite episodes with clips from our interviews with Junot Diaz (This is How You Lose Her), Ursula K. LeGuin (The Unreal And The Real), Louise Erdrich (The Round House), Margot Livesy (The Flight of Gemma Hardy), John Michael Greer (Apocalypse Not), Eyal Press (Beautiful Souls), and Walter Mosely (The Gift of Fire). Also on the list of the Ten Best of 2012 are Barbara Kingsolver (Flight Behavior), Steve Volk (Fringe-ology) and Eric Laursen (The People’s Pension). Well, the world did not end on December 21. A lot of folks were pretty anxious about it, but they wouldn’t have been if they’d listened to Writers Voice the first week of January in 2012. That’s when author John Michael Greer told us the prediction the world was going to end on December 21 was nothing more than just the latest example of a 4,000 year old end times meme, first begun in ancient Persia. It hasn’t turned out to be true before — and it wasn’t going to happen in 2012, Greer assured us. We talked to him about his book, APOCALYPSE NOT: Everything You Know About 2012, Nostradamus and the Rapture is Wrong. The figure of the orphan is a classic trope in literature. There’s Oliver Twist and Tom Sawyer, Ann of Green Gables and Jane Eyre. Margot Livesy’s novel, The Flight of Gemma Hardy, is loosely based on Charlotte Bronte’s Jane Eyre. But it also takes much of its inspiration from the author’s own childhood. In her character Gemma Hardy, Livesy has created an appealing protagonist who battles adversity with grit and courage. Like Bronte’s novel, THEE FLIGHT OF GEMMA HARDY is a kind of bildungsroman, where the protagonist must find her own place in the world. Why is it that some people risk their jobs, reputations or even lives to stand up to evil while most of their peers remain silent or even become perpetrators themselves? 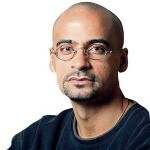 I t wasn’t long after our interview with Junot Diaz that he was awarded a genius MacArthur grant. And that followed on the heels of winning the National Book Award for his new collection of short stories, THIS IS HOW YOU LOSE HER. It picks up with Yunior, his protagonist from two previous works, ten years after the stories of Drown, and The Brief Wondrous Life of Oscar Wao. Written with beautiful, powerful language and an infectious passion for storytelling, This is How You Lose Her is a deeply moving addition to Diaz’s body of work. In Louise Erdrich’s novel THE ROUND HOUSE, a boy finds out that his mother has been horribly assaulted and sets out to find who her killer is so he can be brought to justice. But it’s an Indian reservation in North Dakota in the 1980’s — and there is scant justice for Indians, especially if they have been assaulted by a white man. The Round House illuminates the ongoing reality of violence perpetrated against Native Americans — and especially against women on the reservation–and brings the reader a story of emotional power, beautifully told. The Round House was a finalist for the 2012 National Book Award. Ursula K. Guin’s fiction has been ground-breaking in her use of speculative fiction to explore issues of gender and social power. Her new two-volume collection, THE UNREAL AND THE REAL, brings together a hundred stories from her long career as a writer of fantasy, science fiction and just plain fiction; they range from the profound to the merely delightful. She spoke with WV about writing and about crafting emotionally satisfying stories that inspire readers to think more deeply about their own assumptions about reality. Walter Mosely is best known for his Easy Rawlins detective novels, like Devil in a Blue Dress. But he also writes in other genres, including speculative fiction. His latest work brings together two novellas: ON THE HEAD OF A PIN and THE GIFT OF FIRE. The latter is a kind of sequel to the Greek myth of Prometheus set in the present time: Prometheus is freed by fate and walks into present day South Central Los Angeles. There he finds a young man to pass a higher kind of knowledge to, a spiritual fire that sparks a movement to save the world. 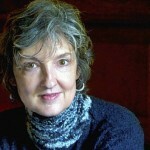 Barbara Kingsolver, talking about her climate change novel, FLIGHT BEHAVIOR; Steve Volk talking about his fascinating journalistic exploration of strange phenomena called FRINGE-OLOGY; and the terrific interview Eric Laursen gave us about , which is about the decades-long attempt to do away with, or shrink and privatize social security.